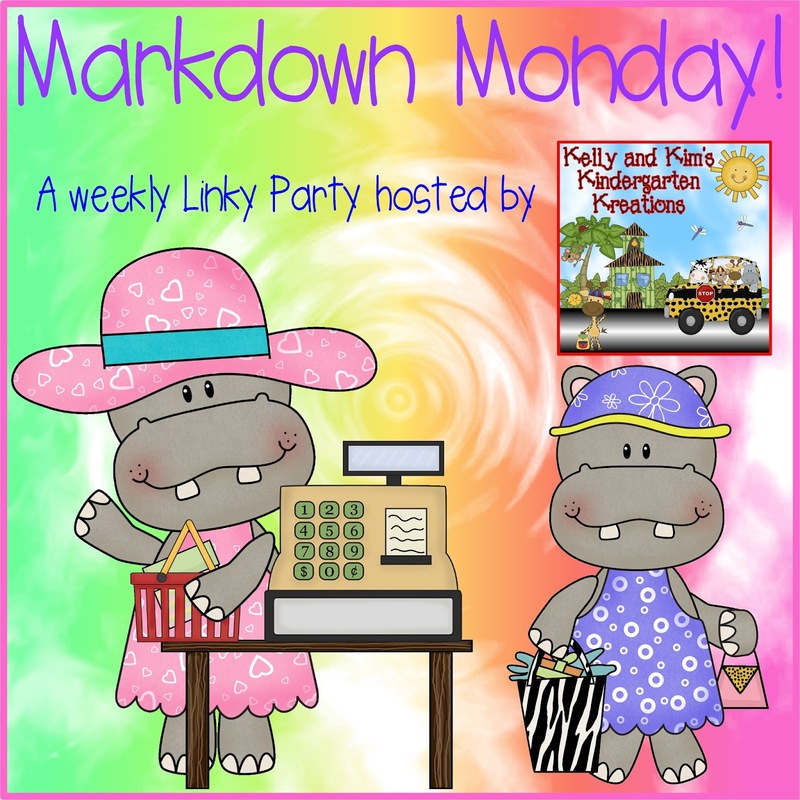 like to "markdown" until Sunday, May 1st. This is a fun center in which children identify the insects in the photographs and then match the insect name. We use small chart stands and pocket charts from Lakeshore to display this center. These I Have, Who Has games have become a favorite among our classes. This one added some buggy fun to our day! Children will read insect names as well as identify insects by their pictures in this fast paced game. They will need to listen to their peers carefully so they know when it is their turn! The more times you play the game, the faster they get! Children will order sentence fragments to build a complete sentence that matches the illustrations. 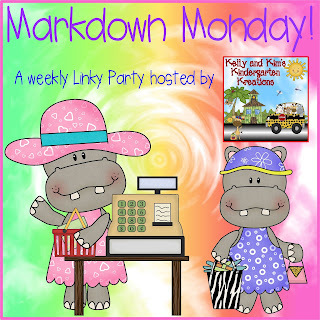 We have included two versions of this activity to meet the needs of your students. 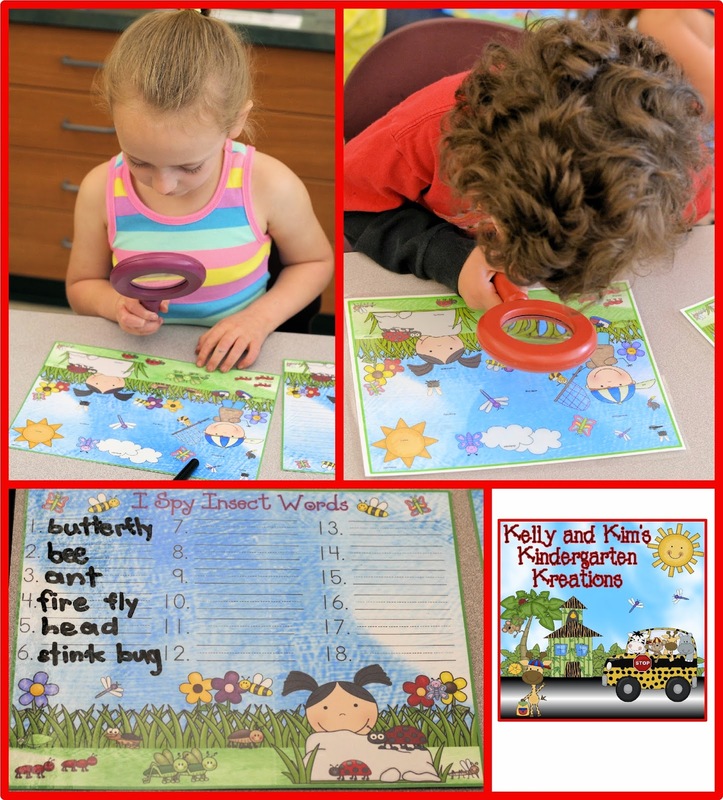 Children love to use the magnifying glass to find the insect themed words in the colorful scene. When the find a word, they will read it, and then write it on the recording sheet provided. 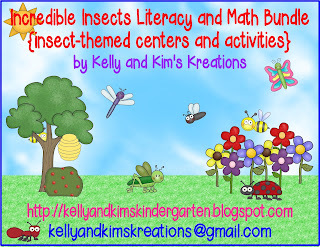 In this fun center, children walk around the room looking for words that begin with each letter of an insect themed word. Words included in this pack are: grasshopper, ladybugs, and dragonfly. This game is a great way to practice place value by counting base ten blocks. Each player gets a game board. 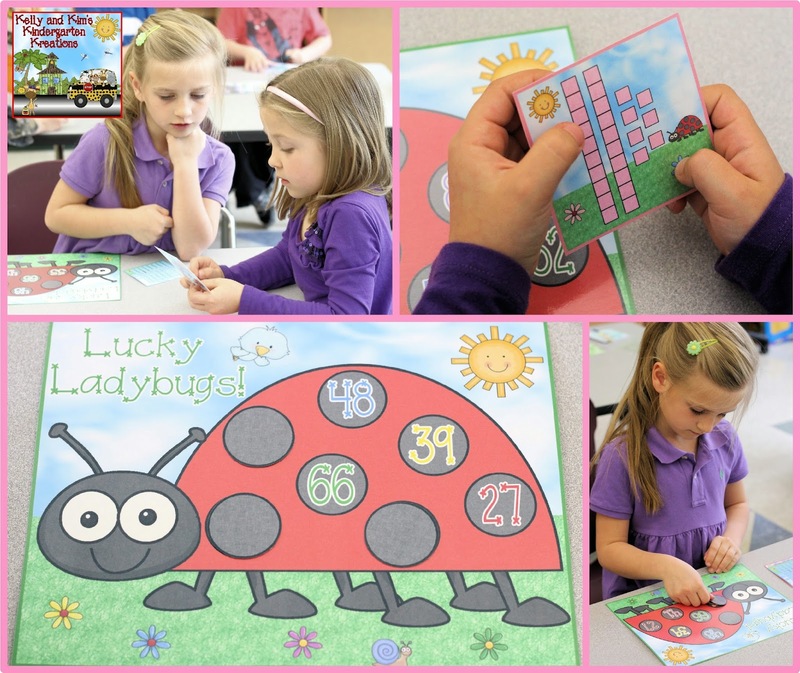 The game board is a ladybug with different numbers in her spots. Children will take turns pulling a card from a set of cards that are face down in a pile. After pulling a card, the child will determine the number by counting the tens and ones. If they have the number on their ladybug, they should cover it up with a black counter. The first one to cover all the spots is the winner! This is another favorite among our children. We use small clothespins for this center. Children read the number on the card and then read each equation. 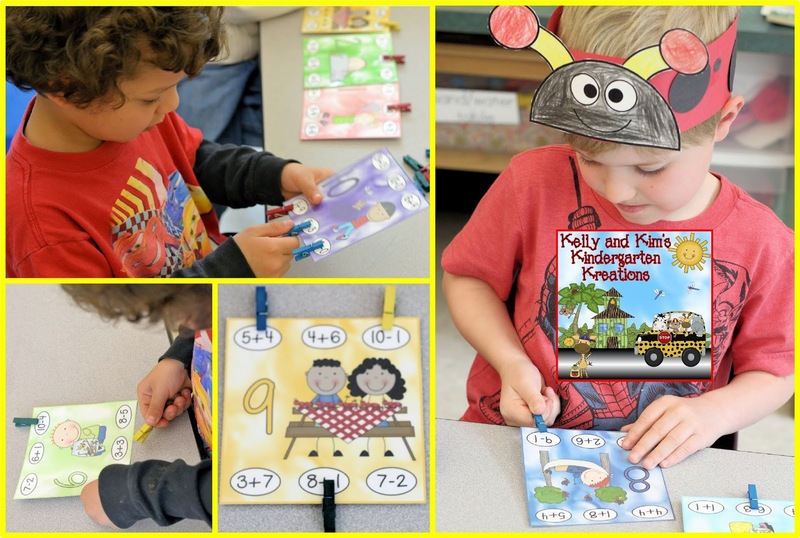 If the sum or difference of the equation equals the number on the card, the children should place a clothespin on it. 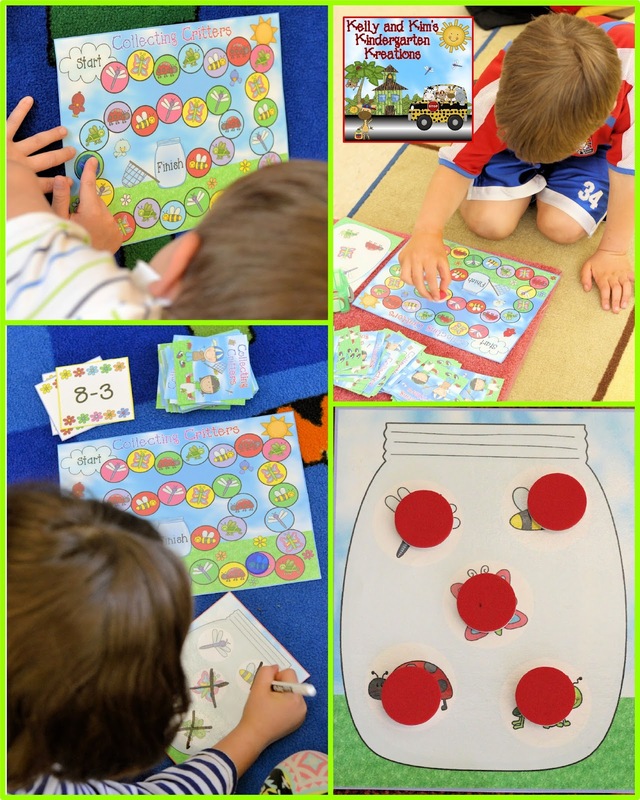 In this game, children will solve addition and subtraction number sentences to collect all the insects in their jar. To play the game, children pull a card from the deck and solve the equation. The sum or difference determines the number of spaces to move on the game board. When they land on an insect they can either cross it out with a dry erase marker or cover it with a counter. They have now collected that insect. The game continues until one player has collected all five insects. Thanks for visiting! We hope you enjoy this center pack!